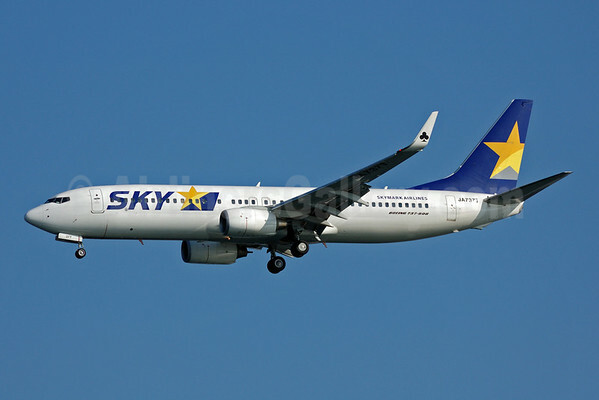 Skymark Airlines‘ (Tokyo) biggest creditor Intrepid, which is opposing ANA’s (Tokyo) involvement in the Skymark reorganization plan, also submitted a rival reorganization plan on May 29. The plan states Integral would be the primary sponsor, but it would select an alternative airline partner other than ANA. The U.S.-based leasing firm is already talking with Delta Air Lines (Atlanta) according to ZipanguFlyer. Copyright Photo: Akira Uekawa/AirlinersGallery.com. Boeing 737-8Q8 JA737T (msn 35290) approaches the runway at Tokyo (Haneda). This entry was posted in Skymark Airlines and tagged 35290, 737, 737-800, 737-8W8, ANA, Boeing, Boeing 737, Boeing 737-800, Delta Air Lines, Haneda, HND, JA737T, reorganization plan, Skymark Airlines, Skymark reorganization plan, Tokyo on June 5, 2015 by Bruce Drum. Southern Air Holdings, Inc. (Southern Air 2nd) (Cincinnati) has announced that it has received confirmation of its “pre-arranged” Plan of Reorganization (Plan) from the U.S. Bankruptcy Court in Wilmington, Delaware, which has been overseeing the Company’s Chapter 11 proceedings following its voluntary filing on September 28, 2012. The Plan received substantial support from key secured creditors as well as unsecured creditors. The confirmation clears the way for Southern Air to emerge from its court-supervised financial restructuring as expected, within the next few weeks. Daniel J. McHugh, Southern Air CEO, said, “We are very pleased to receive court approval of our Plan of Reorganization and hope to exit Chapter 11 in just a matter of weeks. This was a critical part of our overall transformation. We have used this process to dramatically change and improve our capital structure, substantially reduce our debt and other legacy costs, strengthen our balance sheet, and enhance our competitiveness with new financial flexibility. 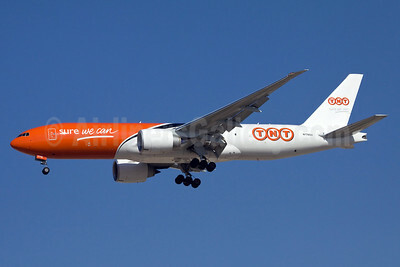 “We will emerge as a well capitalized carrier delivering safe, high quality air cargo services. As part of our strategic transformation, we have realigned our operations and capabilities and transitioned to a modern, fuel-efficient fleet of 777s and 747-400s serving global customers. Our operations and corporate activities are now in Northern Kentucky (the Cincinnati airport) near our largest hub of activity where we are even better able to satisfy the needs of our customers and grow our business for the long term to benefit our business partners and employees for years to come. 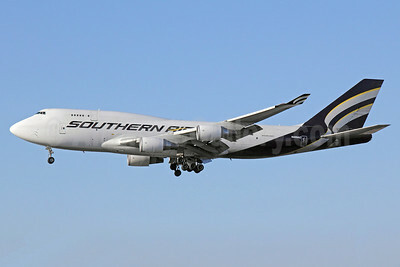 “It is thanks to the hard work and dedication of the Southern Air team and the support of our lenders and business partners that we have been able to move through this process successfully, fulfilling customer requirements as scheduled and providing high quality air cargo services without interruption. As a result of our transformation, Southern Air is better positioned for the future both financially and operationally to grow profitably as an air cargo industry leader,” concluded McHugh. Copyright Photo: Michael B. Ing. Southern Air is now concentrating its future around the more fuel efficient Boeing 747-400 and the 777 and its growing relationship with DHL. Boeing 747-4F6 (F) N469AC (msn 27602) is pictured on final approach to Los Angeles International Airport. This entry was posted in Southern Air (2nd) and tagged 27602, 747, 747400, 747400F, 7474F6, air cargo services, aviation, Boeing, Boeing 747, Boeing 747400, Boeing 747400F, LAX, Los Angeles, N469AC, reorganization plan, Southern Air, Southern Air (2nd), transportation on March 15, 2013 by Bruce Drum. American Airlines (AMR Corporation) (Dallas/Fort Worth), which is merging with US Airways (Phoenix), has asked the bankruptcy court to extend its deadline for submitting its Chapter 11 reorganization plan from April 15 to May 29. Copyright Photo: Mark Durbin. 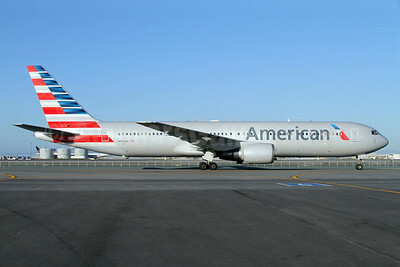 The first Boeing 767-300 to wear the new look is the pictured 767-323 ER N368AA (msn 25195) at San Francisco. This entry was posted in American Airlines, AMR Corporation, US Airways and tagged 25195, 767, 767300, 767323, American Airlines, AMR Corporation, aviation, Boeing, Boeing 767, Boeing 767-300, Boeing 767300, chapter 11 reorganization, N368AA, reorganization plan, San Francisco, SFO, transportation, US Airways on March 14, 2013 by Bruce Drum. Iberia‘s (Madrid) pilots have agreed to resume talks with the company according to Reuters. However the pilot’s union wants to see a growth plan at the airline rather than farming out service. Iberia, which plans to cut about 4,500 jobs, has set January 31 as the deadline for the unions to agree to the reorganization plan. Can both parties agree on this new course? Copyright Photo: Paul Denton. 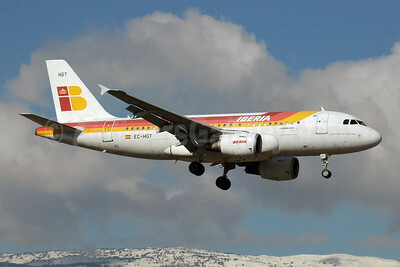 Iberia will be a smaller operator on European routes. Airbus A319-111 EC-HGT (msn 1247) prepares to land at Geneva. This entry was posted in Iberia and tagged 1247, A319, A319100, A319111, Airbus, Airbus A319, Airbus A319100, aviation, ECHGT, Geneva, GVA, Iberia, reorganization plan, transportation on January 6, 2013 by Bruce Drum. 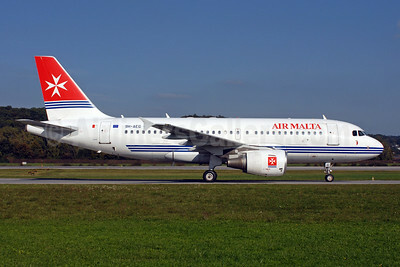 Air Malta (2nd) (Malta) is getting another chance to survive. The European Commission has approved the carrier’s reorganization plan which also involves a $164.8 million loan from the Maltese government to turn the airline around. This entry was posted in Air Malta and tagged 2113, 9HAEG, A319, A319100, A319111, Air Malta, Air Malta 2nd, Airbus, Airbus A319, Airbus A319100, aviation, reorganization plan, transportation, ZRH, Zurich on June 29, 2012 by Bruce Drum.